Telling a stranger about Jesus, your family about the Gauntlet, or your friends about Fuse can be an awkward experience for anyone. But evangelism starts with us just having 20 seconds of courage. As you have probably have realized by now, your heart beats quicker and your palms get sweaty when an opportunity for evangelism presents itself. This is normal! So instead of looking for an escape route, embrace the awkwardness and go for it. On the other side of this conversation could be someone’s eternal salvation. It’s not up to us to save people; Jesus saves, we get to tell people about it. The message of Jesus living a perfect life, dying on a cross, and rising again has been ‘entrusted to us’ by God (2 Corinthians 5:19-20). Have 20 seconds of courage today and either take the opportunity of evangelism when it presents itself, or spend 20 seconds inviting someone to church. Trust the Bible that something great will happen because of your courage! Evangelism isn’t for the experts. 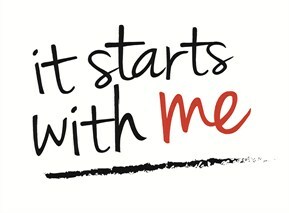 It starts with me, and it starts with you! Dear Lord, give us that 20 seconds of courage today. Help us to rely on You and go for it when the opportunity is before us. In the Name of Jesus, Amen.